With every passing year, Tesla is proving the naysayers wrong by not only surviving but increasingly solidifying its position in the automotive market and energy industry. 2018 is shaping up to be another record year for the company and today we take a quick look at what we expect from Tesla for the year. While 2017 was the year of Model 3’s launch, 2018 will be the year when the broader market will start to truly see Model 3 as the vehicle that will bring the electric revolution to the mainstream. Right now and for the next few months, the Model 3 is still limited to Tesla’s core fanbase since you need to have placed a reservation almost 2 years ago in order to buy the vehicle. Also, only the Long Range battery pack and premium interior package are available, which increases the price of the vehicle. But as Tesla increases production, reduces delivery time for new buyers, and brings new configurations to production to truly achieve its $35,000 base price before incentives, many more people will start to see the Model 3 as a viable option in their car buying process. The discussion will start to shift from whether or not Tesla can mass produce those cars to the actual real demand size for this product. We expect that Tesla will achieve its goal of 5,000 units per week in the first half of the year and quickly ramp up to 10,000 units per week by the end of the year. As Tesla starts to achieve those levels of production capacity in Fremont and at Gigafactory 1 in Nevada, we expect that Tesla will go public with its plans to add new factories to production infrastructure. ‘Tesla Model Y’ is not an official name yet, but that’s what Tesla officials have been referring to when talking about a crossover all-electric vehicle built on the same third-generation platform as the Model 3. CEO Elon Musk has often mentioned that Tesla will quickly turn its focus to Model Y as soon as they will have a good handle on Model 3 production. We don’t expect the Model Y to go into production in 2018, but we expect Tesla to unveil the vehicle and start taking orders in the first half of the year. Musk surprised people earlier this year when he said that Model Y will be built on a new platform for production in “late 2019 to 2020”. That was a change from their previous plan to build the vehicle on the Model 3 platform in order to bring it to market faster. But the CEO quickly came back on his latest announcement and said Tesla will go back to its original plan in order to bring the car to market sooner. Tesla’s Model S and Model X are still going strong, but they haven’t received many updates over the past year since the automaker has been focused on Model 3. We expect that to change in 2018 with a few updates. Tesla’s options and trims have been constantly evolving and we wouldn’t be surprised to see a slightly better performance version of both flagship vehicles. A new interior wouldn’t exactly surprise me either. I think Tesla will try to further differentiate Model S from the smaller Model 3 with better performance and more luxury. Updates to power, range, and charge rates are not out of the possibilities for 2018. There’s no hiding it, 2017 was a hard year for Autopilot, but I think it bodes well for 2018. While the consumer-facing progress hasn’t been incredible in 2017, especially for Tesla owners upgrading from the first to second generation Autopilot, it’s not like Tesla’s Autopilot team has been sitting on their hands all year. They have been building Tesla’s own computer vision system and neural net. We expect that the work done in 2017 will lay the foundation for some significant updates to come to all 3 of Tesla’s vehicle programs in 2018. At the very least, I think we will start to see the real potential of some of the Enhanced Autopilot features. 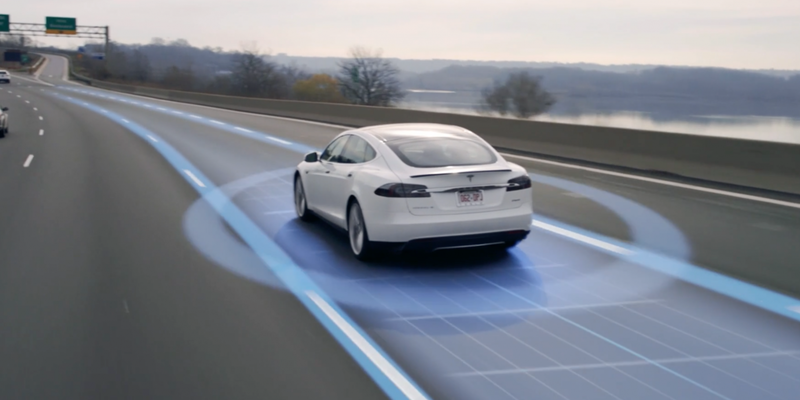 As for the long-promised “Fully Self-Driving Capability”, I wouldn’t count on a rollout in 2018, but I would like for Tesla to start explaining in more detail their plan to bring the feature to consumers. Like we already reported earlier this week, Tesla had a record year of Supercharger expansion but it fell short of its goal. Tesla said that it plans to have 18,000 Superchargers by the end of 2018. With just over 8,000 Superchargers installed worldwide today, it would be surprising for them to achieve that goal. Either way, Tesla certainly has been getting better at deploying stations and the company is likely going to be further increasing its lead in charging infrastructure as other automakers don’t expect to bring EV in volumes for another few years and therefore, they don’t invest heavily in infrastructure. Aside from growing the network, we expect to see Tesla catch up in terms of charger rate. Several other charging networks are starting to install stations with 150 kW to 350 kW power outputs. While electric vehicles are not yet capable of taking those charge rates, the stations are becoming future proof and we would like to see Tesla going in that direction. Though they are not likely to announce that until they release new versions of their current vehicles with the capacity to take those charges. 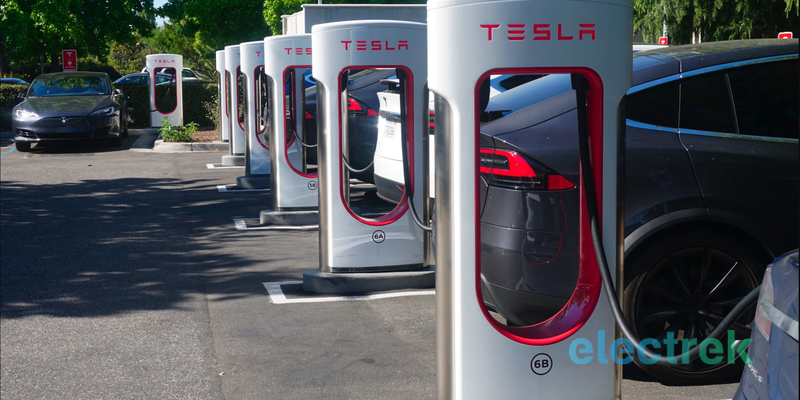 Along with the Supercharger network, both for long distance travel and urban Superchargers, we also expect Tesla to keep rapidly growing the Destination charging network. We have recently seen Tesla starting to deploy more charging stations in higher numbers directly with municipalities. Similar deals are likely to keep happening and contribute to Tesla’s level 2 charging effort. Finally, we expect that Tesla’s energy division will take a bigger place in the Tesla ecosystem in 2018. Now that Tesla is gradually adding the energy products in their car showrooms and that they have completed the integration in their mobile app, they are now starting to feel more like “Tesla products” and the company will be able to leverage the popularity of one to help demand of the others. Solar roof tiles have also been off to a slow start with only a few reported installations to date. Delays appear to be related to changes at Gigafactory 2 in Buffalo, but some recent signs of hiring activities at the plant indicate that production should be about to increase. After the factory is producing both solar modules and solar roof tiles in volumes for Tesla, we expect the company to become its own best customer and start installing its products at this own facilities, like factories, Superchargers, and other locations in 2018. What are you most excited for from Tesla in 2018? Let us know in the comment section below.